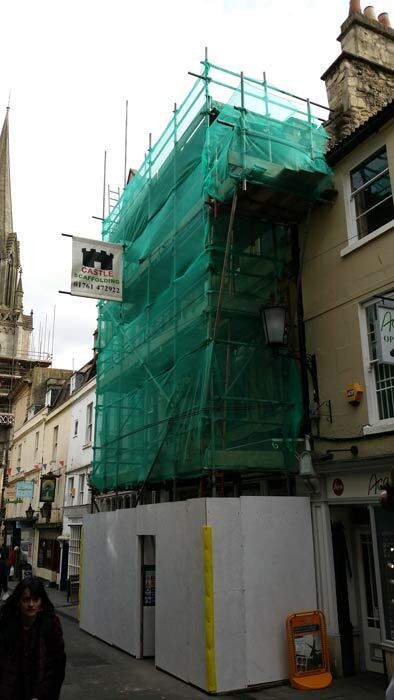 We are a dedicated, professional scaffolding business near Bath with over 30 years of experience within the construction industry. We have gone from strength to strength from day one, delivering a high quality, safe and efficient service with a straightforward and friendly approach. 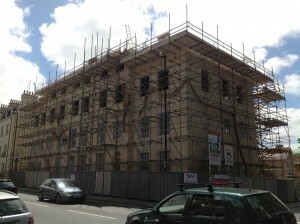 We provide scaffolding for Domestic, Industrial & Commercial properties all tailored to meet your needs. We offer competitive rates and are pleased to offer discounts for long term hire. Please browse our web site to view the services that we provide and projects that we have undertaken which will help to give you decide which of the services you require for your own project. Please contact us either by phone or by using the online form on our contact page. We look forward to hearing from you. The business was established in 1985 and has established a reputation for high quality service and standards. We provide traditional scaffolding using scaffold boards, galvanised tubes and pressed steel fittings to create the right structure to manage all types of projects and properties. All scaffolders are fully trained and hold a Construction Industry Scaffolders Record Scheme (CISRS)card ensuring all Health and Safety requirements are met at all times. Read more here. © 2019 Castle Scaffolding. All Rights Reserved.